Made of our lightweight, long-lasting signature nylon, this bag was born to be your everyday favorite. Carry sophie comfortably over your shoulder with the adjustable crossbody strap and tuck tickets and receipts in the front pouch pocket. STAY ORGANIZED ON-THE-GO: The main compartment has a slip pocket for your cell phone, zip pocket and a key clasp! 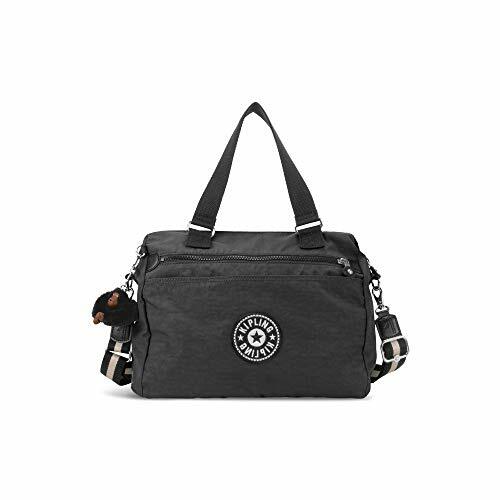 DURABLE AND LIGHTWEIGHT: Weighing only 1.03lbs while sporting impressive water resistance is just another hallmark of Kipling's commitment to quality. REMOVABLE, ADJUSTABLE CROSSBODY STRAP: Wear this bag as a functional crossbody or as a cute satchel! Our removable, adjustable crossbody strap lets you wear this bag how you want!